Place this contemporary Safavieh Courtyard area rug in your home for a piece that makes a statement. Keep it classy, quality, and stylish with this indoor/outdoor rug made from plush synthetic material. This rug is machine-made, which ensures a strong product. This geometric patterned blue rug makes a bold statement in your hallway, dining room, or even living room. This stylish Safavieh Courtyard area rug is a high quality dicor option. Bring this high quality plush synthetic indoor/outdoor rug into your home to upgrade your interior design immensely. The machine-made construction of this area rug is sure to withstand wear and tear. This contemporary blue rug has a lovely geometric pattern for an impressive look. This stylish Safavieh Courtyard area rug is a high quality dicor option. Designed for your hallway, dining room, or living room, this indoor/outdoor piece made from plush synthetic material looks and feels great. Make a lasting style statement with this machine-made rug. Keep things classy, yet high-quality with this geometric patterned black rug. 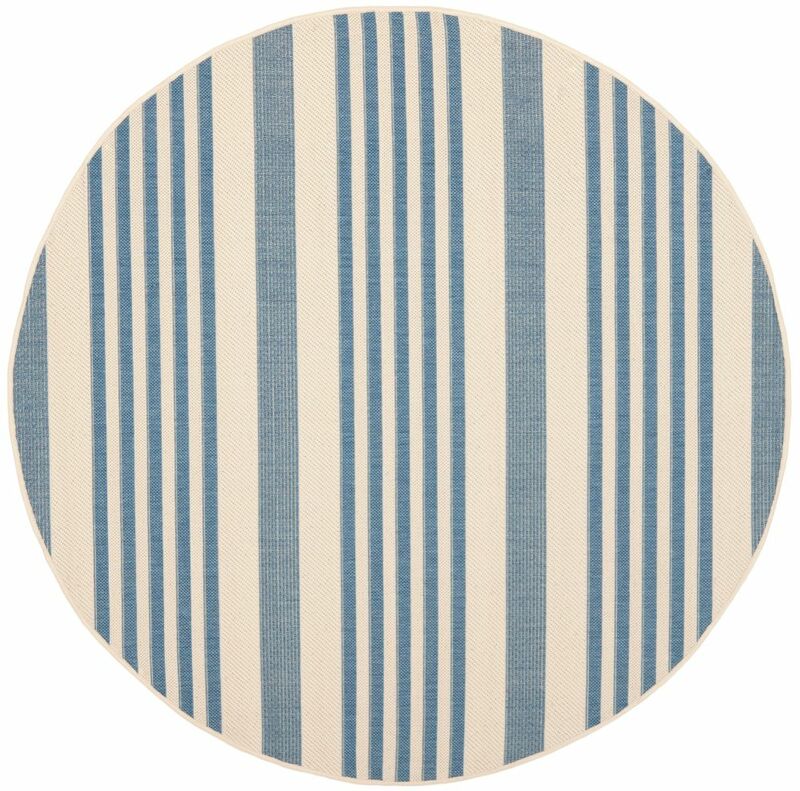 Courtyard Frigg Beige / Blue 6 ft. 7 inch x 6 ft. 7 inch Indoor/Outdoor Round Area Rug Place this contemporary Safavieh Courtyard area rug in your home for a piece that makes a statement. Keep it classy, quality, and stylish with this indoor/outdoor rug made from plush synthetic material. This rug is machine-made, which ensures a strong product. This geometric patterned blue rug makes a bold statement in your hallway, dining room, or even living room.